sensitive than even recent estimates suggest. 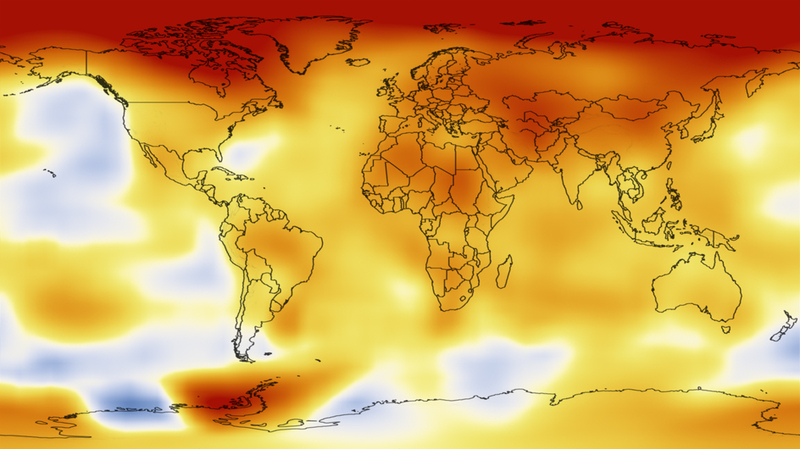 He described the notion of limiting man-made global warming to an increase of two degrees Celsius above pre-industrial levels as “a prescription for disaster.” Recent studies, including those by NASA, indicate the average global surface temperature since 1880 has gone up 0.8 degrees Celsius and is on course to continue rising by 0.1 degrees every decade. NASA researchers say global warming of two degrees Celsius would more closely match conditions of an interglacial period that occurred some five million years ago when seas were about 25 meters higher than today. Developing and wealthy nations, however, remain deeply divided over how to reduce man-made emissions of climate-changing greenhouse gases, especially carbon dioxide. An interglacial geologic period, such as the one Earth is now having, occurs when the North and South Poles are frozen, but glaciers do not dominate the rest of the planet. Scientists call the current interglacial period the Holocene epoch. The previous interglacial period is known as the Eemian epoch.